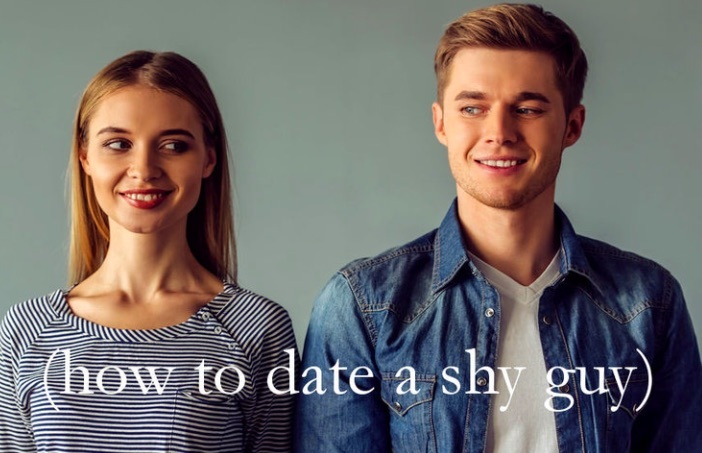 The shy man is a unique breed of male; he will have a great relationship with his friends, be warm and friendly towards the people he knows well and have a specifically selected inner circle of mates amongst whom his shyness disappears. For those not lucky enough to already be in that circle gaining entrance can be a challenge. How do you woo your shy guy and what techniques can you use to reach the inner circle? Shyness is not necessarily an indicator of confidence or self esteem; often it is just a personality trait. Some people prefer to observe and watch social interactions as opposed to always being the star. This does mean they can be more difficult to ‘work out’ but it also means they are often far more worth the effort. Breaking down the initial barriers are always the most difficult, don’t take their shyness personally or as a sign of disinterest. Aim for friendship first. If you have mutual friends then take advantage of that, do some group activities where you can slowly get to know each other in a relaxed setting eg. Picnics, pub trivia. Alternatively a great way to start a conversation is over social media, your shy man will feel less vulnerable and therefore more willing to chat. We all know that women prefer to talk about things and men prefer to do things so when it comes to suggesting dates chose something that doesn’t force your shy man to talk extensively about himself or place pressure on both of you to maintain a conversation. Action dates such as bowling, ice skating, rock climbing or even just Frisbee in the park provide perfect opportunities for the two of you to build a rapport. You can chat whilst focusing on something else, taking the pressure off your fella to talk extensively about his recently deceased pet as he panics for topics of conversation. When your shy guy starts to open up make sure you are accepting of everything he says, this doesn’t mean you have to agree with all of his opinions but it does mean you need to tread carefully and be gentle. He is placing himself in a position of vulnerability and thus you need to be considerate of this, laugh at his anecdotes and share one of your own. Exposing himself is a scary move for him, when he sees your acceptance he will be both relieved and also willing to share more of himself. Don’t take things too seriously, look him in the eyes when you talk, smile genuinely and make sure he is secure in your feelings. Like all people, shy guys are most comfortable in a familiar scenario or talking about something they love. A great way to spend time with your shy man is to ask him to help you with something or to teach you something he is good at. He will feel more masculine knowing he has something he can impart and the experience is a great opportunity to watch him in his element. This also opens up the possibility of reciprocation, making it easy for you to suggest that next time you can show him something you love to do, before you know it the next date is locked in! Don’t expect your shy man to open up over night. It will take time and perseverance, if you are finding it difficult to read his expressions or interpret his words look to his body language. Start slowly and invest some time. If you really like this guy it will be worth the wait, one of the best things about the shy guys is that once you’re in his inner circle he is not likely to let you go.